You and your friend decided to meet somewhere, and you reach the place before time and waiting for your friend to come. In few minutes, you receive a call from the friend asking the exact location. You start explaining the exact location with big sign boards or milestones. But what if you are also new to the place and you have no idea how to clearly explain the location? Google has a solution to this problem. Google Maps can help you both in this case. It has recently introduced a new feature that shows your friend’s location on the map. This real-time location sharing option can help you a lot when you are about to meet someone and can save your time. Google Maps allows users to share their real-time location with friends. If you are your friend both are using Google Maps, you can share your location to help him. In this article, I will show you how to share your location with friends on Google Maps. In this article, I am showing the screenshots of Google Maps for Android. The iOS app also has the exact same thing to share the location or to stop sharing the location. If you face any issue in following these steos , you can always ask for suggestions via comments. To share your location, open Google Maps app on your smartphone. You see a blue dot showing your exact location on the map. Tap on this blue dot and you will see a bunch of options to choose from. Here, tap on “Share your location” option. In the next screen, it asks to select the duration of location sharing. By default, it shows 1 hour or Until you turn this off. You can increase the hours by tapping on + icon at the right of it. Once you have selected the time duration, select the person. For this, you have options at the below side of the screen. Tap on Select people or you can direct share the location sharing link via messages. You can also tap on More to choose other options to send the link. Once you start sharing your location, you see it on the Maps. It says that you are sharing the location with the person. If he is not sharing his location with you, he will be shown gray. The other person will see your location on Maps. The location sharing will stop automatically after the timeout. If you want to manually stop location sharing, you have an option for this in Maps app. For this, open Google Maps app and tap on three horizontal lines icon at the left most side of the search box. It will open the left side menu. Here, tap on Share Location option. It will now show the list of persons having access to your location. You just need to tap on X icon in front of the name in the list of Sharing your location with. Tapping on X will stop location sharing instantly. This is how you can share your real-time location with friends using Google Maps. 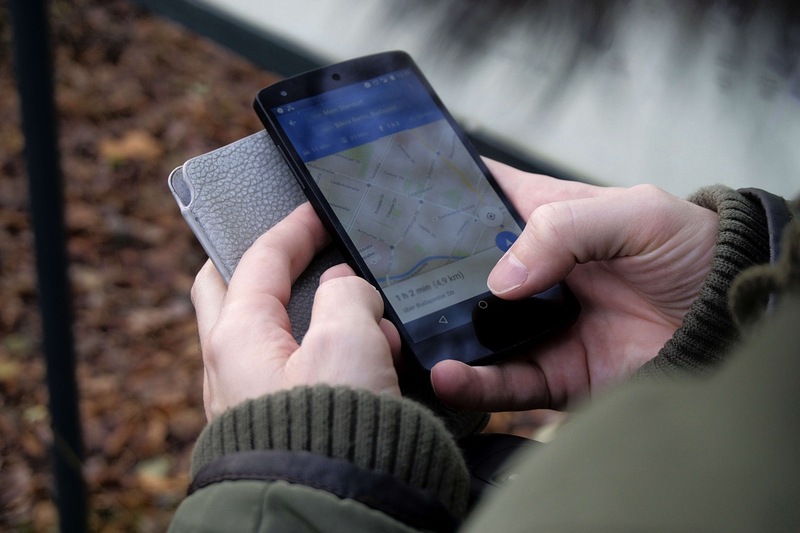 This is how you can share your location on Google Maps. We just talked about only one use case but this feature can be used for so many other things. This feature can also be used to track someone. So, you are free to use it as per your need. Google Maps come pre-installed on Android devices and it is available for free for other mobile platforms. This is the must have app, so you should install this if you have not it installed in your phone. Google Maps helps a lot when you are traveling. In unknown cities, this is the best app to help you in tracing locations and navigate. With location sharing feature of Google Maps, you can solve different problems and save time. I hope you found this article interesting. Share this article to help us grow.